McKee's 37 Coating Complete Kit includes everything you need to get your paint clean and coated using McKee's 37 products! Featuring the brand new McKee's 37 Paint Coating with an upgraded formula, the new Sio2 Auto Wash, and the popular Hydro Blue Sio2 Coating, McKee's 37 Coating Complete Kit ensures your car gets coated and protected – faster than you thought possible! McKee's 37 Paint Coating is a nano-glass ceramic coating that provides paint protection measured in years, not months. Formulated using nano-glass ceramic particles and state-of-the-art cross-linking polymers, McKee's 37 Paint Coating creates a hard-as-nails protective barrier and a glass-like, liquid shine. The self-cleaning effect created by the immense amount of surface tension keeps your paint looking its best in between regular washes. McKee's 37 Paint Coating is exceptionally easy to apply – no lengthy instructions to memorize! McKee's 37 Paint Coating now features a new formula with a longer working time, is more resistant to alkaline cleaners, and lasts 50% longer! McKee's 37 Coating Prep Auto Wash is a specially formulated car wash designed to remove any and all traces of previously applied waxes or sealants. Using an alkaline formula with no phosphates or acids, McKee's 37 Coating Prep Auto Wash leaves behind a truly clean finish – ideal for your next detail step! 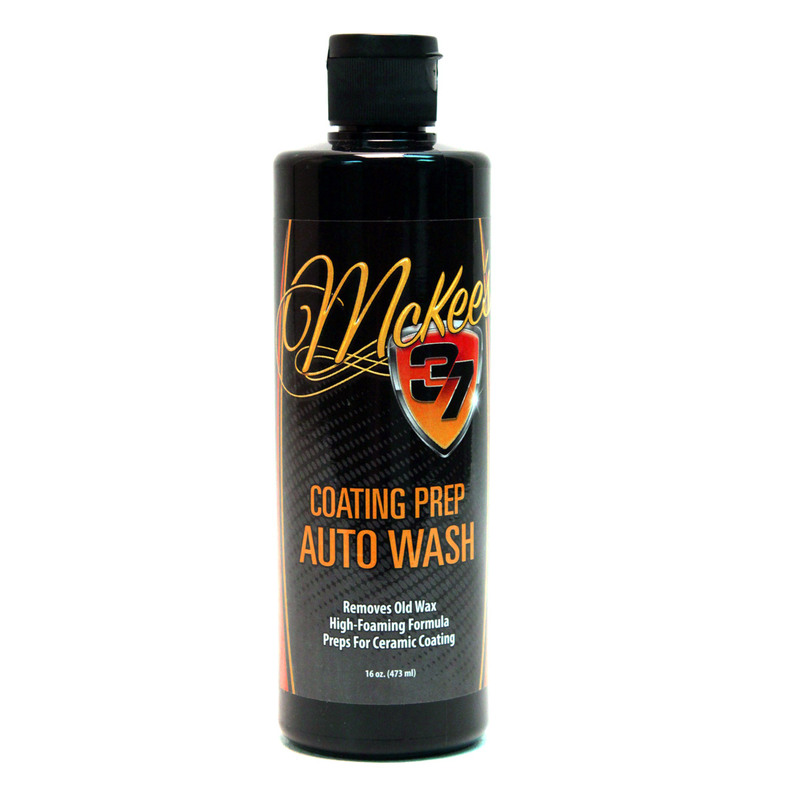 McKee's 37 Coating Prep Auto Wash is high-foaming and promotes a safe wash on all exterior surfaces. 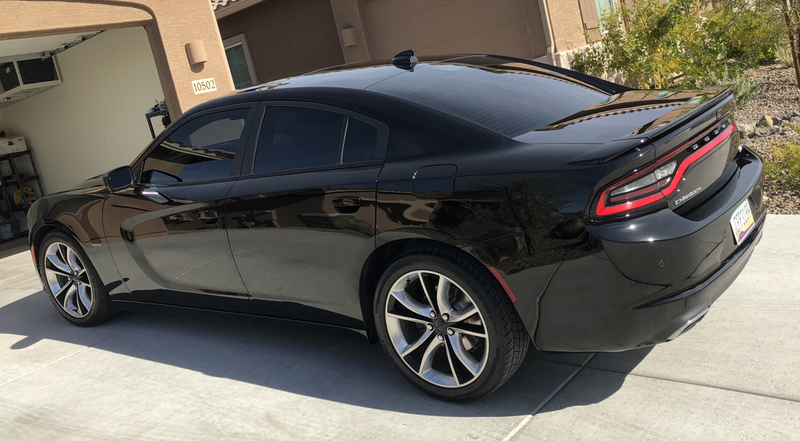 If you're looking for a car wash that will get your paint ready for protection that much faster, you've found it with McKee's 37 Coat Prep Auto Wash! McKee's 37 Hydro Blue Sio2 Coating combines the ease of a quick detailer with the enhanced protective abilities of a Sio2 coating. McKee's 37 Hydro Blue is a spray and rinse formula that easily applies to wet paint and provides an extremely high-gloss layer of protectant that can withstand even the most extreme climates. Perfectly safe for use on any exterior surface of your vehicle, McKee's 37 Hydro Blue Sio2 will become a must in your detailing supply cabinet. McKee's 37 Xtreme Iron Remover solves an issue that plagues virtually every vehicle on the road today – iron contamination. Iron contamination is a real issue for old and new cars alike. A brand new car can have HORRIBLE iron contamination and left untreated the iron particles will cause corrosion to the precious thin clear coat paint that comes on a brand new car. McKee's 37 Xtreme Iron Remover is the solution to removing iron particles to maximize the gloss potential of your paint! The Gold Plush Micro-Chenille Wash Mitt is 11 x 8 inches with longer microfiber strands to cover more area. You'll be able to work faster, and the long, plump microfibers will hold even more soapy water for superior lubrication. The microfiber fingers agitate the vehicle's surface to release dirt particles and gather them between the deep strands. Loosened dirt will gather in the mitt, rather than being rubbed against the paint. Note: For the best results, rinse your mitt in a bucket of water before reloading it with soapy water. If you like the Deluxe Jr. 600 Microfiber Towel, you'll love having a second one in the Gold Plush Jr.! The Gold Plush Jr. Microfiber Towel is made of incredibly soft and plush microfiber in a handy 16 x 16 inch size. It's perfect for quick detailing and pampers every surface it touches. The Gold Plush Jr. Microfiber Towel measures 16 x 16 inches and features an outstanding 75/25 blend of polyester and polyamide. The microfiber's weight is 380 g/m², making one very soft towel! A total retail value of $128.94. You save $48.95! I was a little apprehensive about applying a paint coating myself, but this was very easy to apply and super easy to wipe off. Super smooth finish. This is my second purchase of a McKee's coating kit and I'm very happy with its performance in the past. Easy application and high performance made this purchase easy. Thanks very much!